The Kardashians continue to take Cuba (read: Kuba)! Kim, Kardashian and Khloé Kardashian had a blast vacationing in Havana during the Sunday, August 7, episode of Keeping Up with the Kardashians — but major drama ensued. 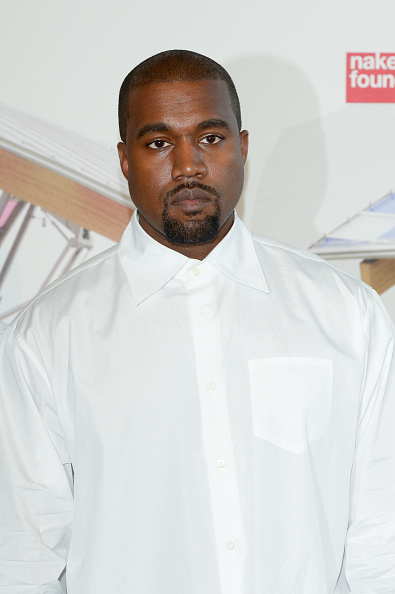 Hint: Remember when Kanye West was offended by Kylie Jenner&apos;s Puma endorsement? Yeah, get ready to go inside that awkward time. Also exciting: West channeled his inner seamstress and designed his wife a dress to salsa-dance in on a whim. He&apos;s basically the Gus to her Cinderella. Good news: Khloé finally spoke to her husband, Lamar Odom, and it looks like he was doing just fine in her absence — despite mysteriously requesting a large sum of money during last week&apos;s episode. "I finally got in touch with Lamar and he sounds great, but almost too good, where now I&apos;m, like, paranoid, like, why do you sound so good?" Khloé told the camera. "It freaks me out." The Strong Looks Better Naked author said it would take time for Odom to earn back her trust, saying, "Even his drinking alone is so bothersome to me and it makes me so furious. Because he can&apos;t be drinking. It hasn&apos;t even been one year [since he was hospitalized after an overdose]." At the end of the day, Khloé realized she can&apos;t control Odom&apos;s behavior, and decided to hope for the best. In case you hadn&apos;t noticed, West has a line of sneakers with Adidas, which means all other sneaker companies are basically dead to him. So, yeah, things became somewhat awkward when Kris Jenner arranged for Kylie to represent Puma — especially because she was kinda-sorta-maybe gonna do a deal with Adidas. "Kanye had Kylie walk in his first two Yeezy shows. He really believed in her as a part of his brand," Kim explained to the camera. "That was, like, a conflict of interest." The Selfish author even confronted her mom, saying, "Sometimes when you&apos;re dealing with family, it&apos;s not really about a business decision." West&apos;s thoughts on the matter? "It&apos;s like if I made a show Sunday night, and didn&apos;t tell any of you all about it, but I did a couple shows with y&apos;all, just two shows with y&apos;all first. So people saw me and were all, &apos;Ah, he&apos;s cool on camera.&apos; And somebody offered me a deal, and I, like, did it and didn&apos;t tell none of y&apos;all, and brought all my, like, whatever, cool friends. Now it&apos;s like Jay Z, Beyoncé was all on the show." Scott Disick was suffering from major FOMO while Kourtney was in Cuba (though he did tell Kris, "By the way, we&apos;re not together"), so he and French Montana got their Havana on with Cuban food, a sweet old-school car and some cigars. Straw fedoras happened, that&apos;s all we&apos;re saying. Even better? When the gals got back from vacation, they threw an actual Cuban-theme party — and even ditched their cellphones! Speaking of FOMO, West was superannoyed with Kim for making plans to hit New York on Mother&apos;s Day. "We didn&apos;t plan to be together on Mother&apos;s Day?" Kanye said. "Are we going with you, or you don&apos;t wanna see your husband and children on Mother&apos;s Day?" Kim ended up rearranging her schedule and spending the morning with her family (West surprised her with a full orchestra, naturally), and thank goodness, because poor West was already dealing with enough thanks to #PumaGate. On the subject of Kim and West fighting, Kim admitted that she and her husband argue about her lack of enthusiasm when it comes to dancing. Oh, and she even talked about this one harrowing time Beyoncé tried to dance with her: "The last night of the tour, [Beyoncé] came to the dressing room and was like, &apos;Hey, you wanna sit together?&apos; And then she wanted to go in the mosh pit, and I was like, &apos;Wait, what do we do in the mosh pit?&apos; And she was like, &apos;Dance! Just let loose, just dance.&apos; And I was like, &apos;My life is over.&apos;"
Yeahhhhh … not the response we&apos;d have if Beyoncé asked us to dance. Tell Us: Has Beyoncé ever asked you to chill in a mosh pit with her?